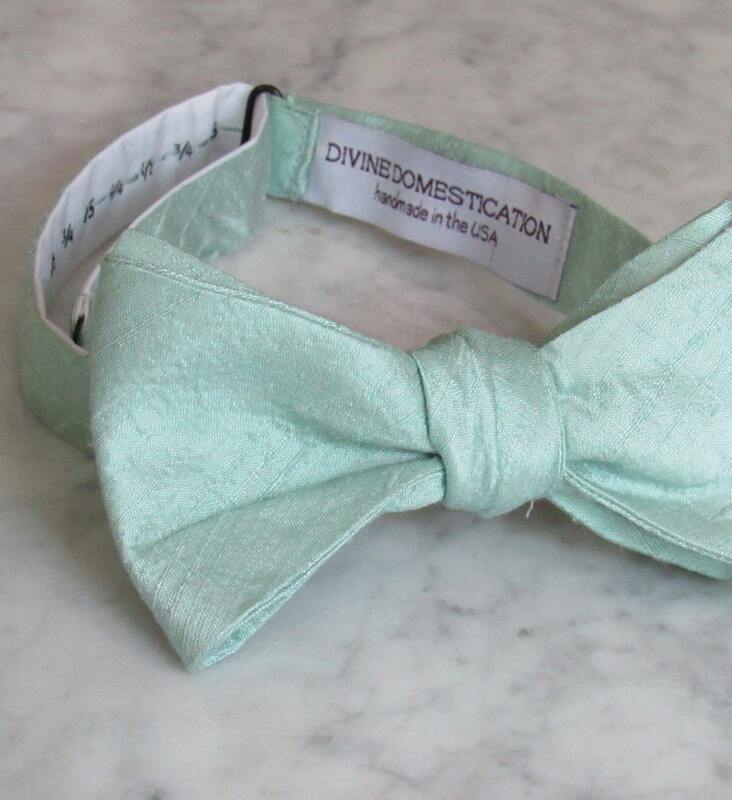 Beautiful soft mint green dupioni silk makes this a classic bow tie. 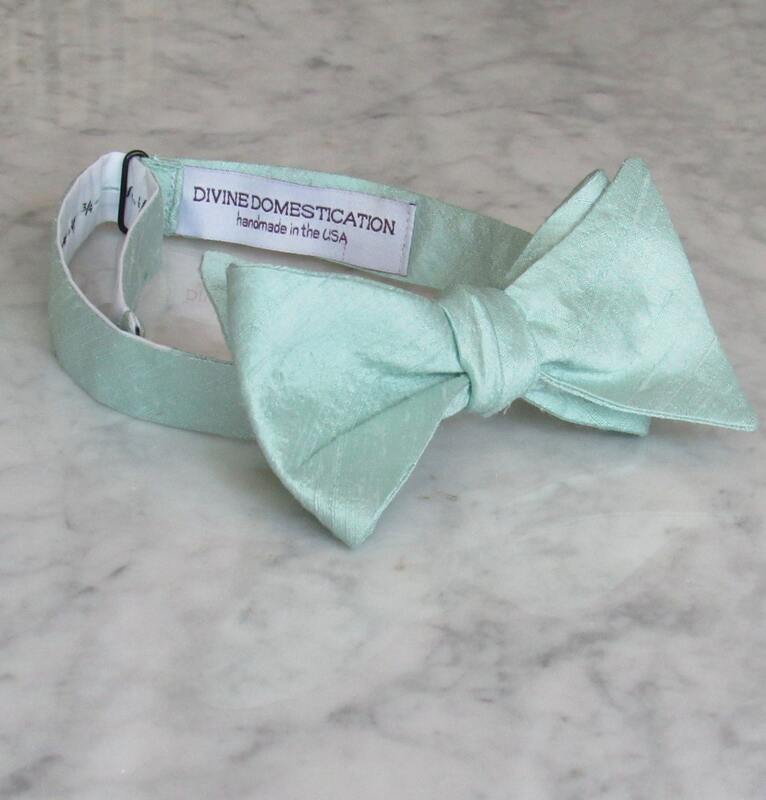 This darling tie is perfect for a wedding or a fun addition to any outfit. 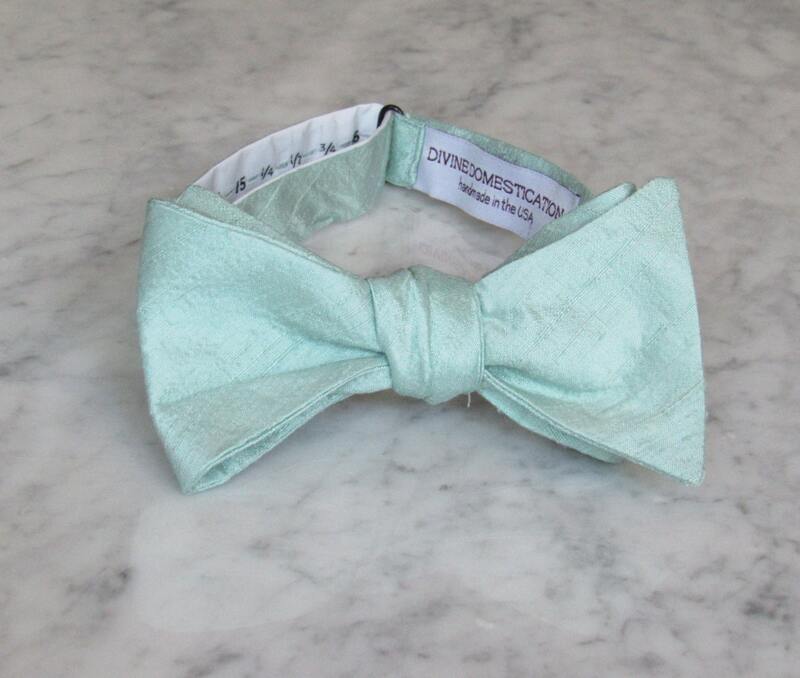 Made of top quality 100% silk. 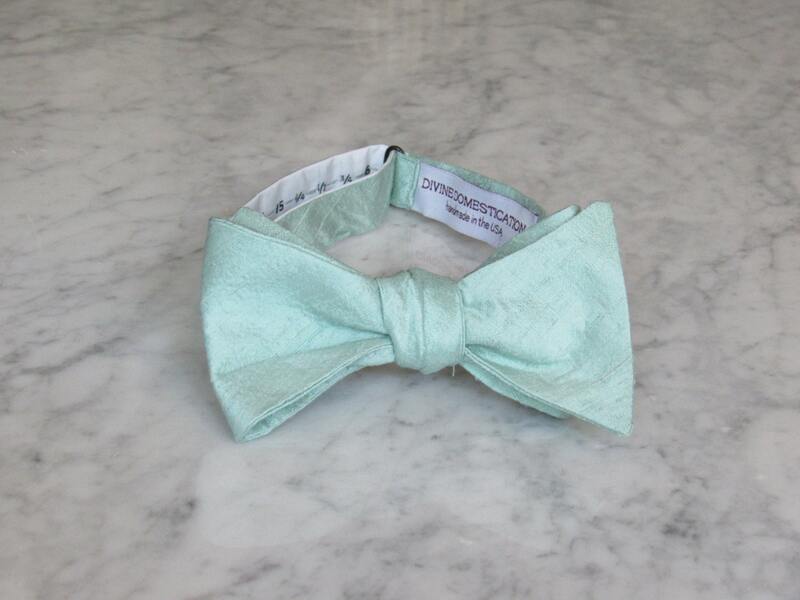 It will also hold up to lots of wear.